She took a creative risk, and it paid off — big time. 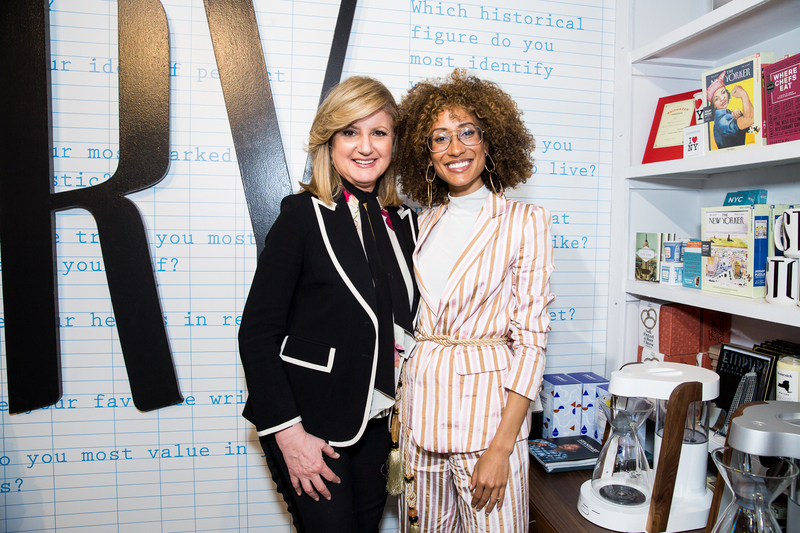 For a special live episode of The Thrive Global Podcast, Thrive Global Founder and CEO Arianna Huffington sat down with former editor-in-chief of Teen Vogue, activist, and journalist Elaine Welteroth about everything from her presence on social media to what inspired her to take a jump in her career. Today, Welteroth is known as one of the most dynamic, authentic voices in media. In 2012, she became Conde Nast’s first black beauty director, and in 2017 she became the company’s youngest-ever editor-in-chief, taking the helm at Teen Vogue. But to truly understand how she got to the top, we must start from the beginning, when she was a young college graduate angling for an internship. It was 2008, and Welteroth had her sights set on Ebony Magazine. Trying to land an interview with the magazine’s creative director, she didn’t simply submit an online application: she mailed in a mock-up of her own magazine, created just for the occasion. Welteroth herself was the cover girl, with the headline reading: Which Role Will She Get? Welteroth’s creative approach to applying for an internship offers an important takeaway for college grads and anyone else looking to make a career change: Opt for creativity over status quo. Elaine Welteroth Is a Media Star. Here's How She Avoids Burnout.